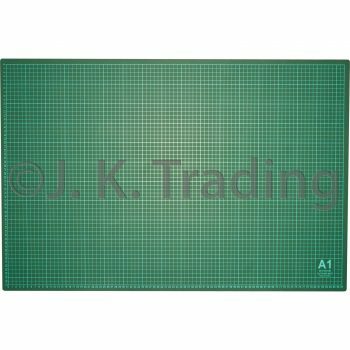 This 5-ply self-healing craft cutting mat has both metric and imperial (inch) markings printed on both sides, and is available in many sizes. We are currently out of stock for Larger than A0 cutting mat so if you purchase and paid for the item, we will have the items sent out as soon as the items arrive in our warehouse. Tentative arrival date is 15th of May. 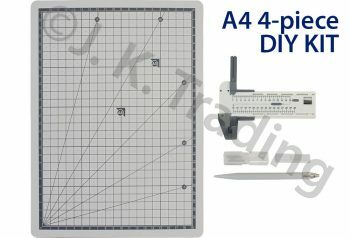 This 5-ply self-healing craft cutting mat has both metric and imperial (inch) markings printed on both sides, and is available in many sizes. The 1.8 by 0.9m sized mat also comes in 3-ply. Preparing materials for scrapbooking, quilting and sewing will be a breeze with this cutting mat. Accurately measure paper or fabric. Cut materials without worrying about ruining your table. A non-slip and non-reflective working surface. Side 1 Three tangent (two 45 degree tangents and a 60 degree tangent), imperial grid, and metric and imperial ruler markings. Side 2 Five tangent markings, metric grid, and metric ruler markings. Colour Soothing green colour, with clear markings in white. I purchased the 1800 x 900 3ply cutting mat on Tuesday. Phoned to change order to 5ply on Wednesday. Colin was very helpful and it was not a problem to change my order. The correct mat arrived in Outer Eastern Melbourne on Friday morning. It is fabulous. 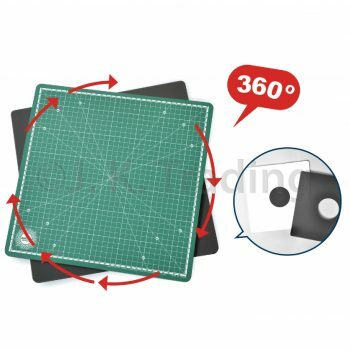 I would recommend this Company and product to anyone who is looking for a large cutting mat. I will use it for dressmaking, quilting and embroidery projects.